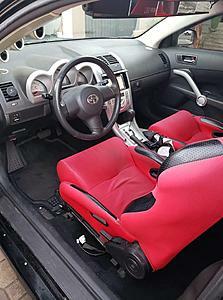 2 Red Tenzo R Seats with custom brackets and sliders made to fit scion tC 2005-2010. Local pickup only in OC, will not ship. Good place to get custom brackets for racing seats? Will Sparco seat brackets fit Recaro seats?